We flew into Christchurch, rented a car and drove to Wanaka, stopping at Geraldine on the way. We made Wanaka our base, and just made day-trips to Queenstown, Arrowtown and Glenorchy. We flagged going to Milford Sound because the kids (my nieces) would probably not enjoy the 5-hour trip to get there. We spent a few hours at Christchurch, to see how the city is doing after the 2011 Earthquake that almost flattened this lovely place. The last time I was at Christchurch was in April 2011, as one of The Salvation Army’s team of volunteers. We (well, they – I was tasked to do office work, how exciting) went around and spoke to those directly affected by the quake and offered assistance in the form of counselling or gave out food parcels. At that time, most of the CBD was cordoned off, and the Cathedral was in complete ruins. This time the CBD was open to the public and the Cathedral, is still in ruins – but Christchurch has a new Cathedral now – one that’s designed to withstand another massive quake (if that ever occurs, hopefully not). 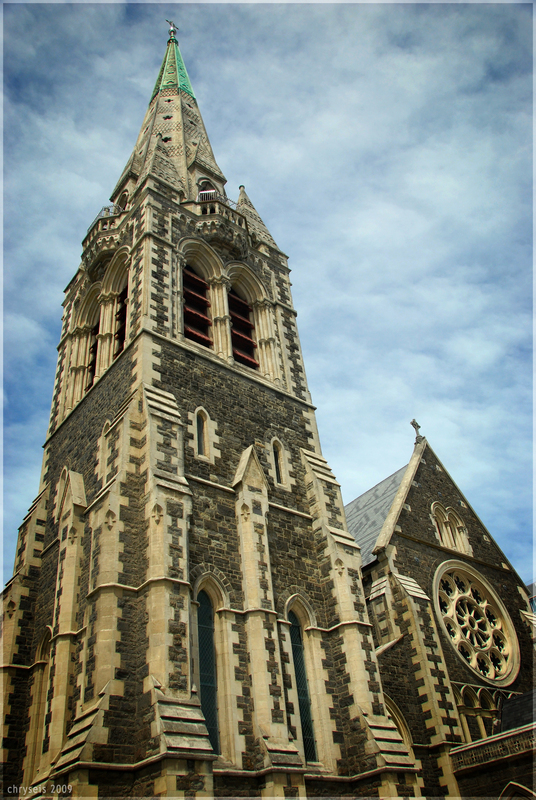 Here are a few photos of the insides of Christchurch’s Cardboard Cathedral. And just so you won’t forget, here’s a picture of the old Cathedral.